After delivering an utterly incredible debut ‘The Journey’, we wondered how on earth Francesca Sanna would surpass her sublime first offering, but she’s only gone and done it! 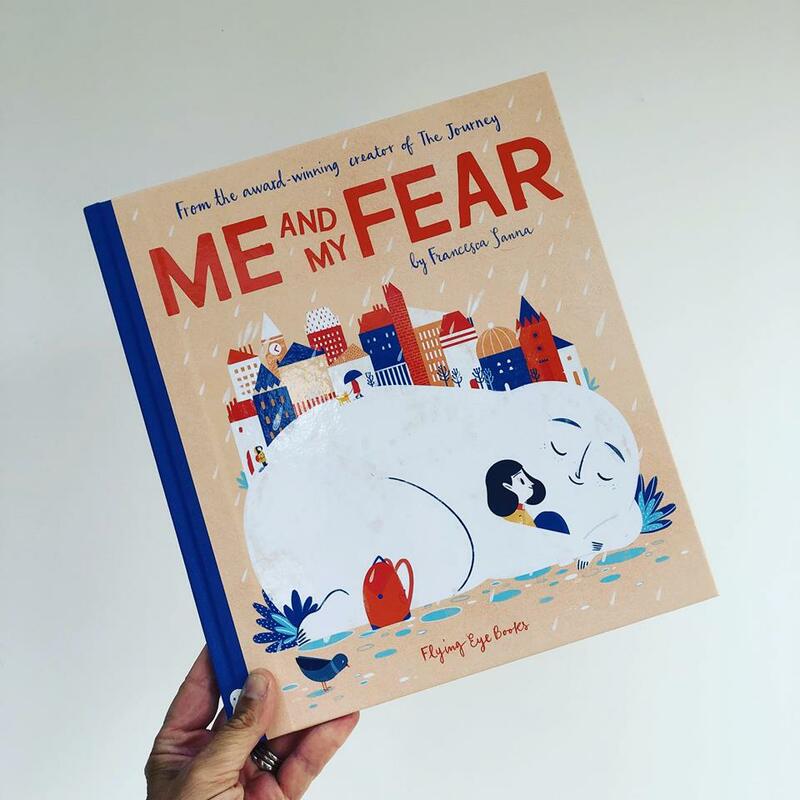 ‘Me and My Fear’ is another extraordinarily heart-warming tale and one which encapsulates that overwhelming feeling with succinct simplicity and emotion-filled illustrations. Seamlessly following on from the award-winning ‘The Journey‘, we see how the girl’s ‘fear’ grows having moved to a new and unfamiliar country. Along with it come bigger and scarier events to conquer. But will her fear hold her back? 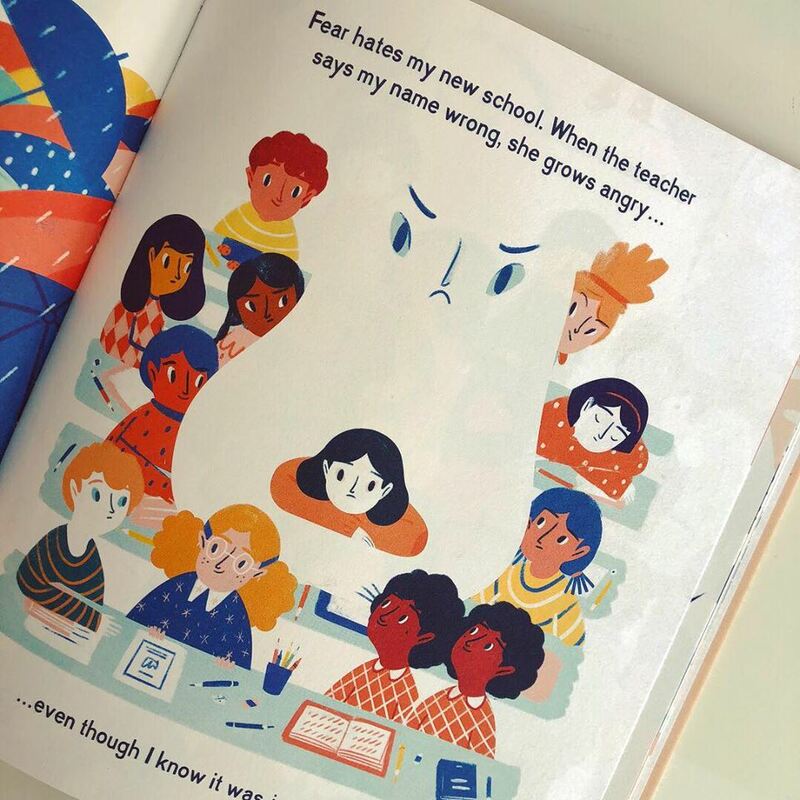 Fear doesn’t like her school or her teacher. At break time, Fear keeps the girl all to herself. She doesn’t understand anyone and they don’t understand her. Just the way Fear likes it. 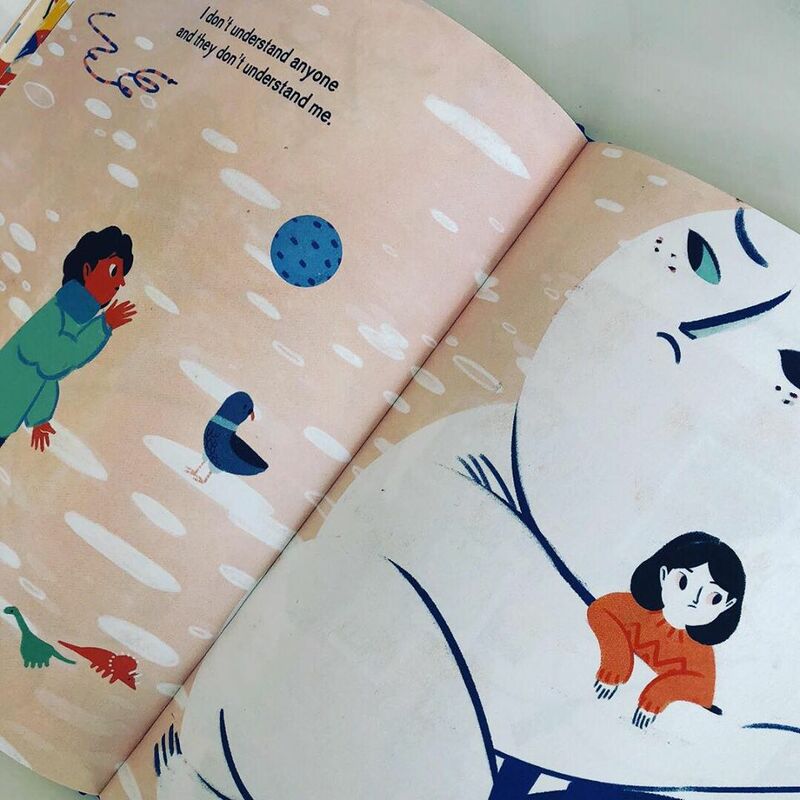 Sanna‘s ingenious and thoughtful personification of Fear as a big squishy, huggable white cloud character makes this concept more manageable and easier to grasp for a younger audience. This is the perfect book to share with any child, but particularly those who may be experiencing anxiety or who are fearful about a particular event. It’s a gentle, unassuming tale and one which shows how we all are fearful of something. 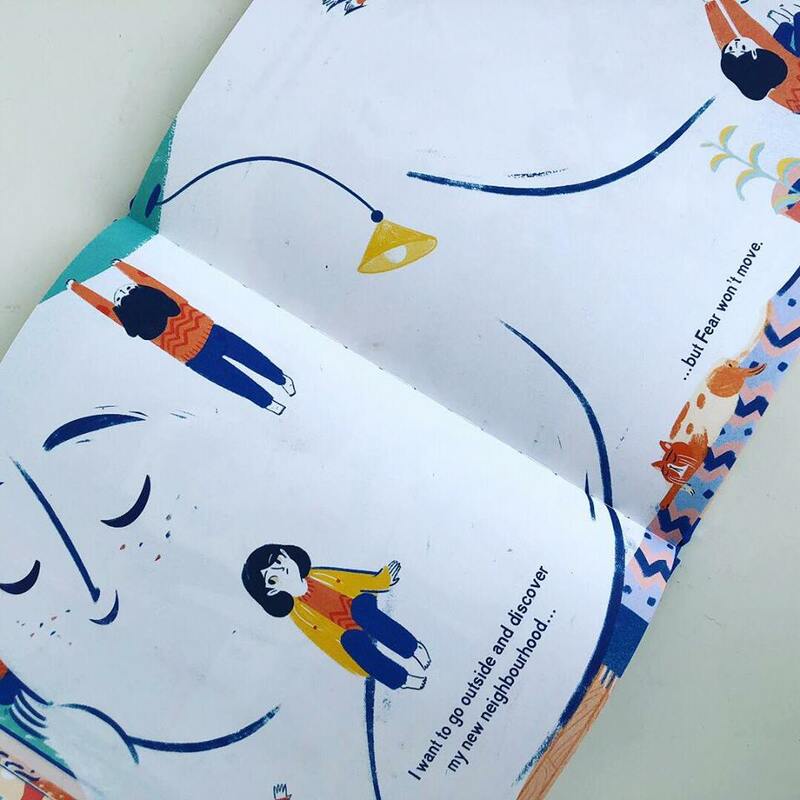 As an anxious person, Francesca Sanna wrote this book from a personal perspective, having moved to a new country and started a new school at the age of 10, she understands the crippling effect that fear can have on a child. Coupling the story with poignant visual prompts makes for a truly notable picture book and one which is bound to have great impact on its audience. Thank you Francesca, your books are full of thoughtful emotion, great characterisation and memorable storylines. This book really looks fantastic. It’s one of those moments you can tell it’s special because the idea is just so good!